The Dakota Access Pipeline is to begin service in the near future as its developer, Energy Transfer Partners, announced that oil has been placed under the Missouri River reservoir. However, the legal battle over the disputed land is far from over. A court filing on behalf of Energy Transfer Partners (ETP) revealed on Tuesday that the company has begun pumping oil into the highly contentious pipeline, without resolving the remaining legal issues. ETP did not reveal when it foresaw the pipeline becoming operational, but did say that it now has oil underneath a Missouri River reservoir in North Dakota. "Oil has been placed in the Dakota Access Pipeline underneath Lake Oahe. Dakota Access is currently commissioning the full pipeline and is preparing to place the pipeline into service," the filing stated. Lake Oahe refers to the area at the heart of the contentious debate during the months of protest against the DAPL. The lake is a water source for the Standing Rock Sioux Tribe and Cheyenne River Tribe, who have been battling to stop pipelines being placed underneath it for fear of contamination in the case of a spill. In addition, the pipeline crosses through sacred lands which are of important historical and religious significance to the tribes. Last December, former President Barack Obama halted construction of the 2,000 mile pipeline. However, President Donald Trump ordered that the development be resumed in January. 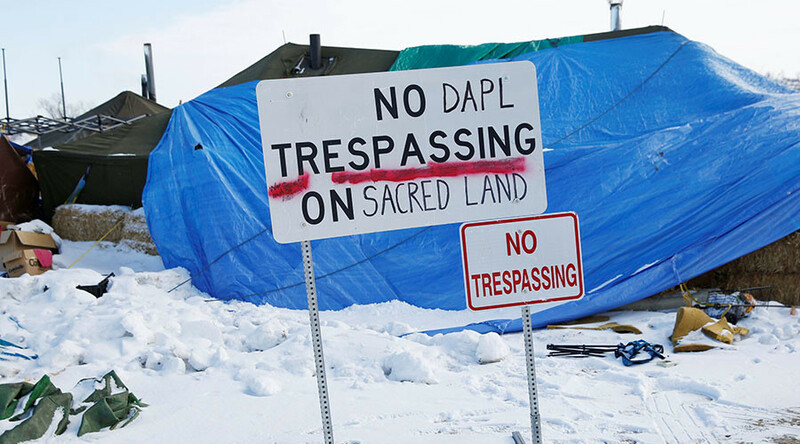 Protests began over a year ago, but gained steam last Fall and stretched for months after protesters camped out at the contested lands while ETP attempted to continue construction on the pipeline despite pending legal motions. Lawyers for the Standing Rock Sioux and Cheyenne River Tribe have not commented on the announcement by ETP.